"Hair, Fleece, Wool" what does that mean? 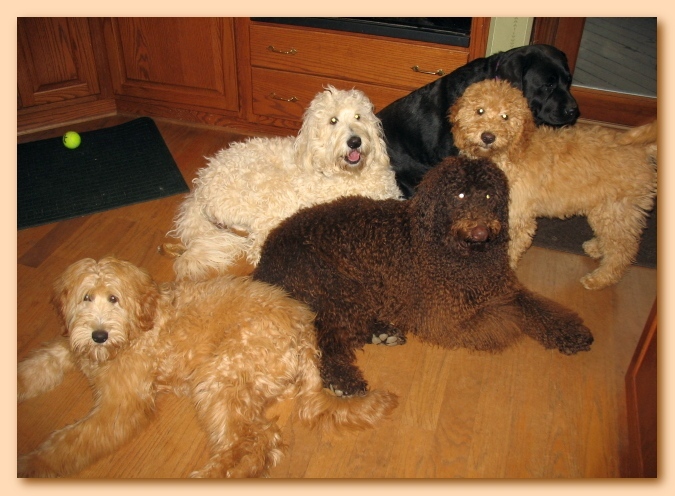 NOT all labradoodles will have non-shedding or allergy friendly coats regardless of generation. 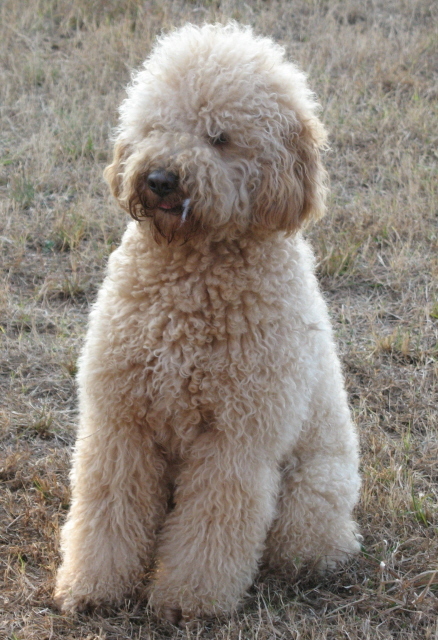 Labradoodles can have coats that shed a lot, shed a little, and that do not shed at all. There are differences you should be aware of to help you determine which coat would be better suited for you and your family. 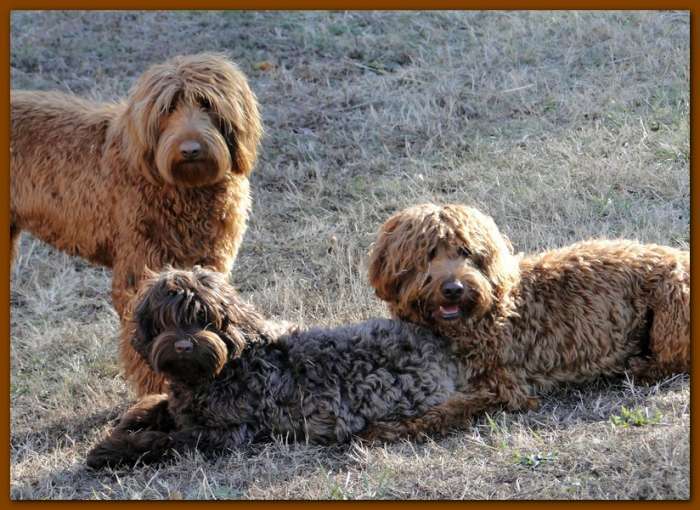 It can be difficult for a breeder to predict coat types all of time. Some Pups are wavy when born and have produced very fleece type coats when they got older. A pups coat does not completely come in until they have transitioned or 'blown" their initial puppy coat, somewhere between 6 mos and 15 mos of age. Do not be surprised if your pup sheds at first or matt's up during this time. It's important that good grooming manners be established at a young age. Depending on the coat of your dog, it will be a part of his routine care. Listed below are some of the coat description terms being used. Hopefully understanding these terms are will be helpful to you in your selection of your perfect pet. Wavy or Hair coat (shorter, wavy, shaggy) - A coat that varies in thickness and length, but typically is straight or minimally wavy. 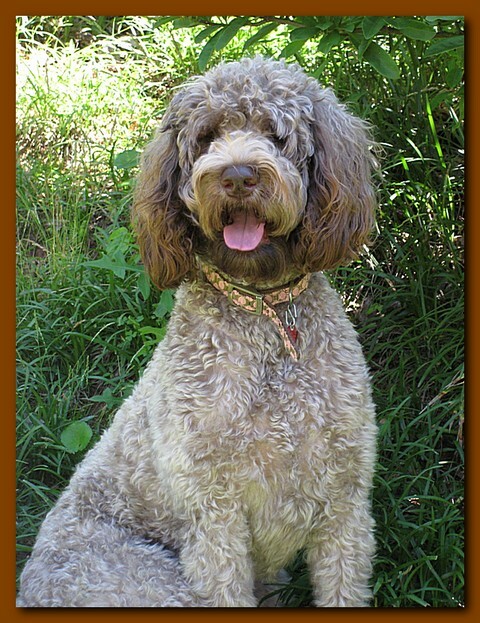 Very low maintenance as far as brushing goes, your all purpose wash and wear doodle. Some will be heavy shedders, others very light shedders. 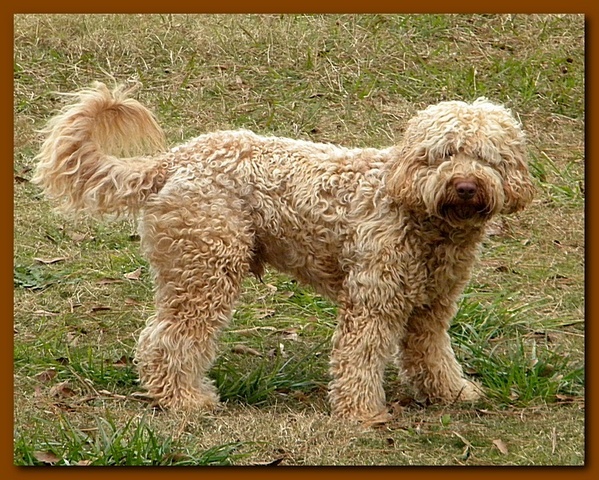 Typically seen in F1's (first generation or poodle to lab breeding). Resembles a lab puppy with a shaggy scruffy appearance. Ocationally can get a nice fleece coat in a first generation breeding. Borderline or Fleece coat - Loose curls or waves over entire body, has a soft downy feel, not like the hair or wool coats. Some feel this is the "ultimate labradoodle coat". Puppy coat is easy to care for, but during transition to the adult coat can become very high maintenance due to matting. The final adult coat may or may not be easy care after puppy transition has been completed. Mostly non-shedding, but some have been known to shed. Should be fairly allergy friendly with no doggie odor. Typically seen in F1'bs or second generation and mutigen lines. There are differnt types of fleece coats as well, some fine or thick, some wavy, curly or straight. As a puppy this sometimes can be hard differentiate between a fleece coat or a wool as an adult. 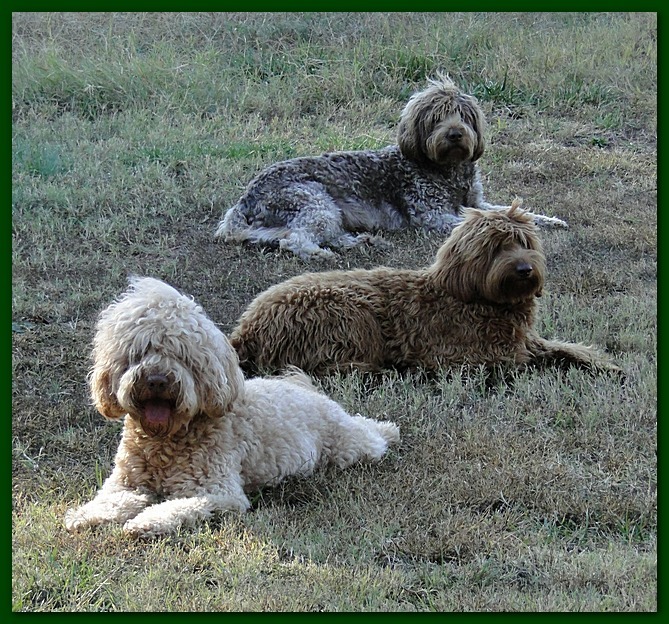 The dogs below are all F1b's or F2 American labradoodles with varying fleece coats. 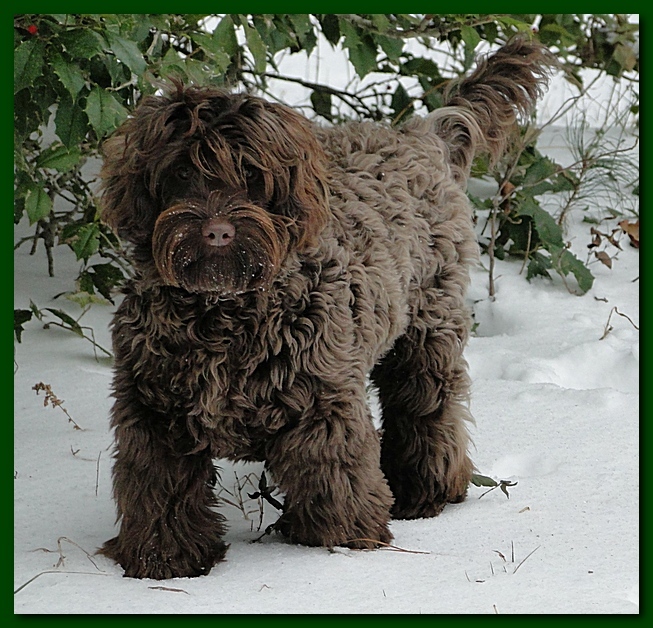 Can be high maintenance when long unless a sprial wool fleece like the chocolate dog below. Can be kept trimmed short for easier maintenance. Non-shedding coat. Usually allergy friendly...Often seen in multigen's and second generation dogs. Wools need trimming and grooming to keep optimal. 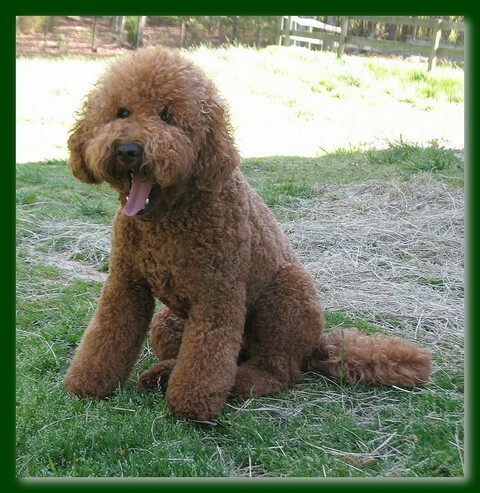 Pictures below are of Rhett my poodle ungroomed and freshly done! You need to decide what is most important to you. The questions below are designed to help you determine which coat is probably the best for you in regards to shedding, allergy issues and grooming needs. Is the curly/wool coat best for you? Do you absolutely want or need to have a non-shedding coat? Do you have severe allergies that require the most allergy friendly coat? 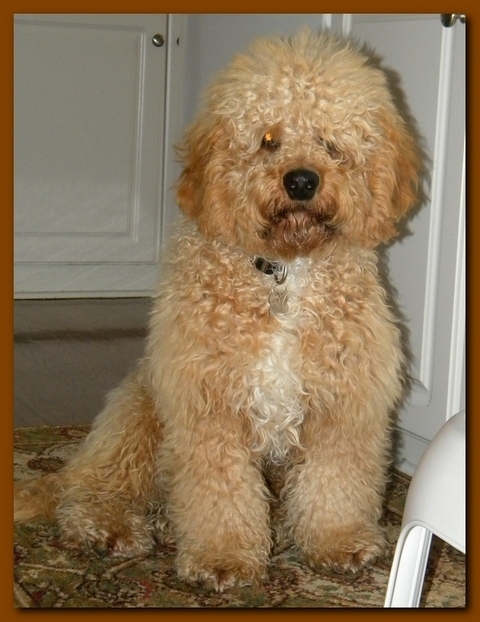 Are you willing to spend a significant amount of time grooming and keeping a coat matt free? 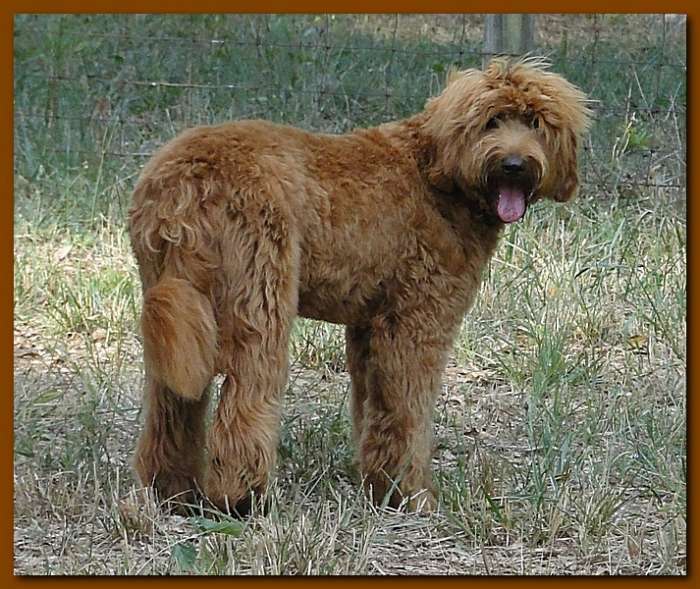 Or, willing to keep your labradoodle clipped very short? Paying a professional groomer is an added expense but can be a blessing for those who love this type of coat but can't maintain it without assistance. Is the borderline/fleece coat best for you? 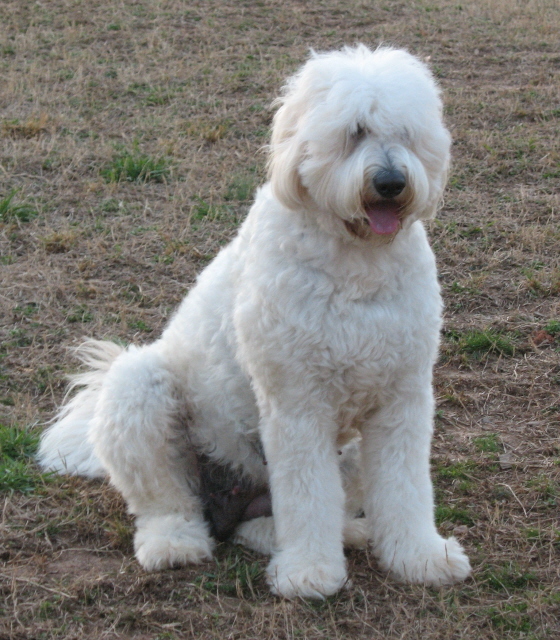 Do you have only mild allergies that tolerate some dogs, but not others? Would a coat that may or may not shed very minimally be okay? 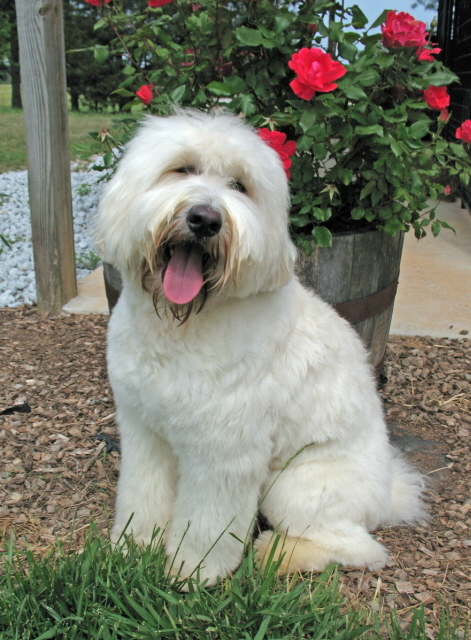 Are you willing to spend an average amount of time grooming your dog’s coat? 2-3 times weekly. This coat can mat up if not groomed, especially during transition. A shorter clip helps alot with this coat and is very elegant in apperance. 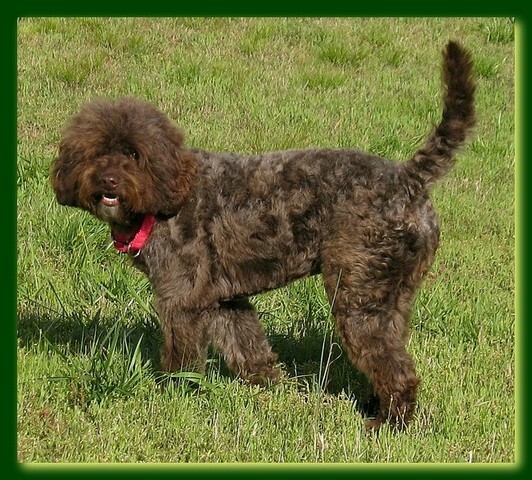 A professional groomer can be a blessing here as well, but then again an additional expence. Is the wavy/hair coat best for you? 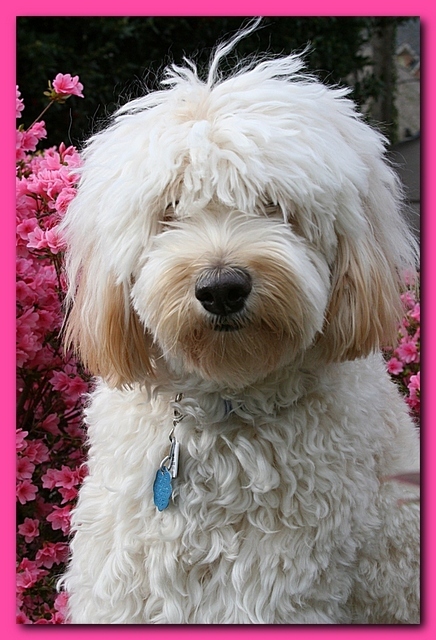 Do you want an easy care coat that needs very little grooming or brushing on a regular basis? Allergies are NOT an issue? Are you okay with a coat that may shed anywhere from very little to alot? Once you have determined which things are most important to you, then you are better communicate with a breeder about what you are looking for in a coat. What it boils down to is what you are looking for in regards to grooming maintenance, allergy needs and shedding issues. 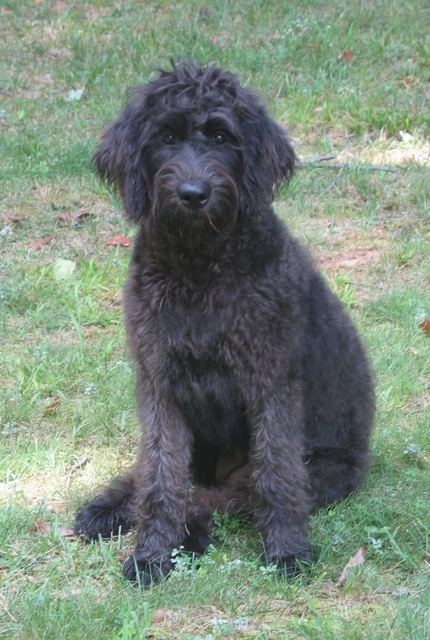 Labradoodles are not yet recognized as a breed, but this is in the works! 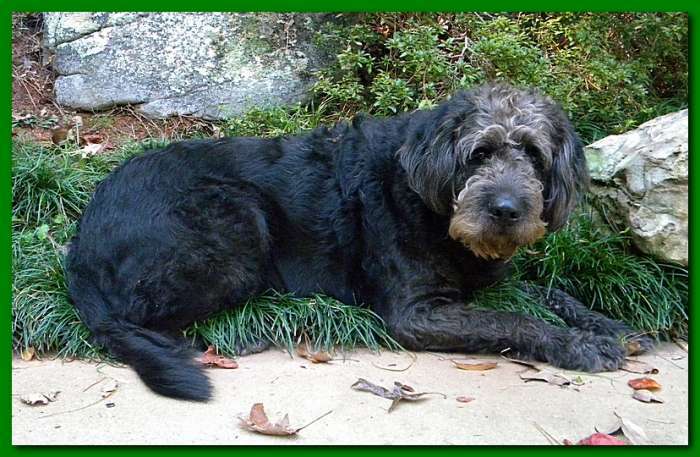 There are a couple of registrys who will register(Early generation doodles) them if both parents are registered with the American Kennel Club. 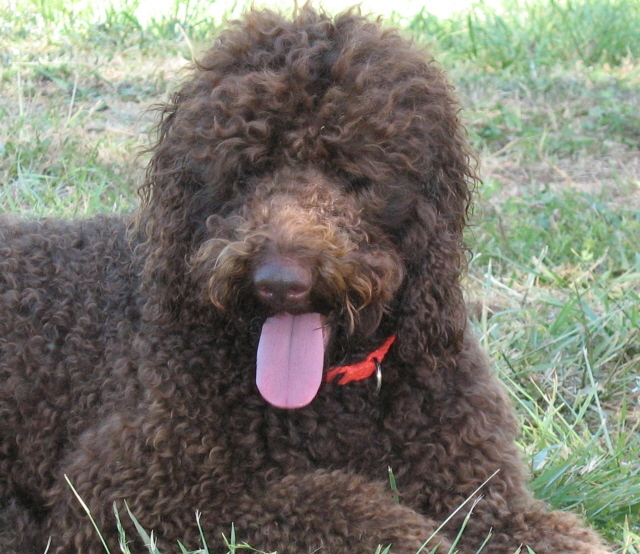 The LAA (Labradoodle Association of Australia) and The ALCA)have kept track of bloodlines and register the dogs used in breeding programs by multigenerational breeders. We are also a memeber in good standing with the ALAA .